How lipstick-obsessed are you, really? Ever wondered what a hundred layers of liquid lipstick would look like? No? Yes? 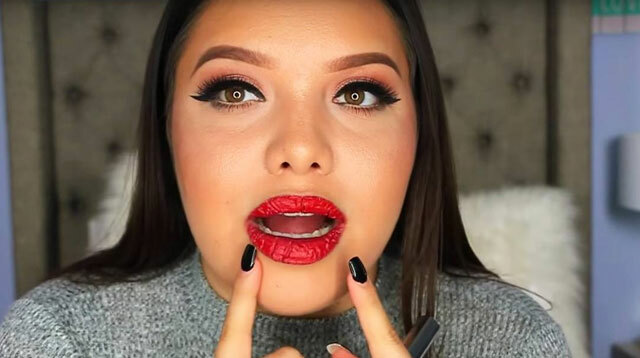 In any case, YouTube beauty blogger Mayra shot this video of her applying layer after layer of liquid lipstick using 50 different shades. Ridiculous, right? She began the process by prepping her lips with Vaseline and lip liner. By the fourth layer, she exclaimed that her lips feel drier than ever—yet still kept on going. This girl deserves an award.